I love the clusters of tiny pink and white flowers on Viburnum Tinus, which will flower its heart out throughout the depths of winter. 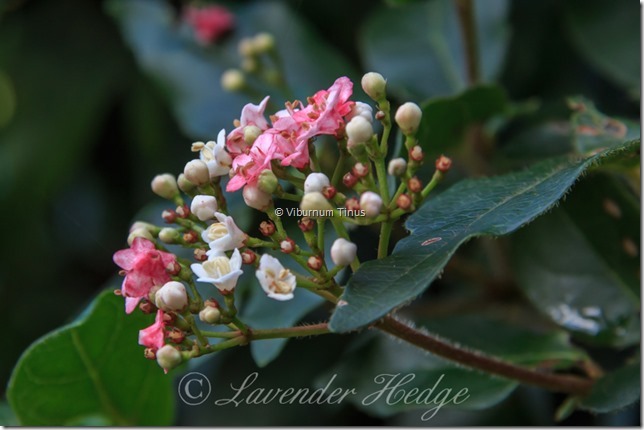 Although some people might consider this too common to have in their garden, it is such an easy shrub to grow, performing well in a variety of aspects, it is well-worth a place in your garden. Cheltenham borough council have planted 75,000 square metres of wildflowers in the local parks. 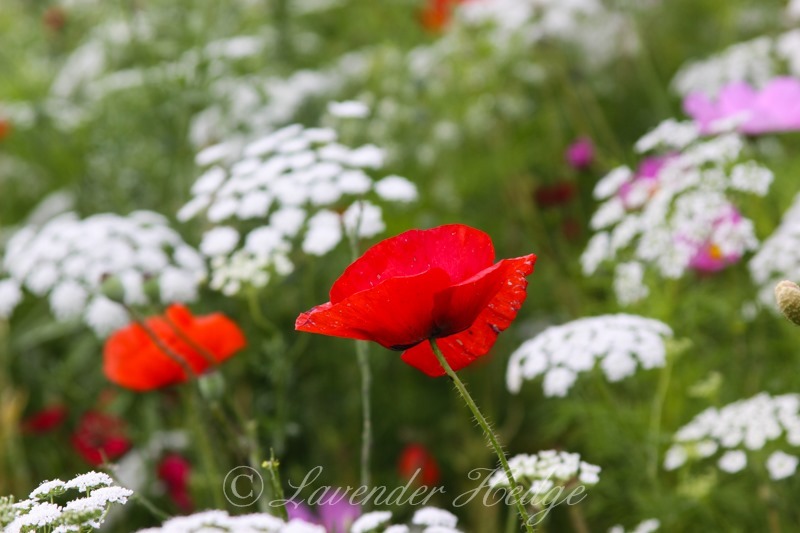 This particular patch had a mix of seeds which included Flanders poppies to commemorate the centenary of WWI, Ammi majus (Bishops Flower), red flax and cosmos. 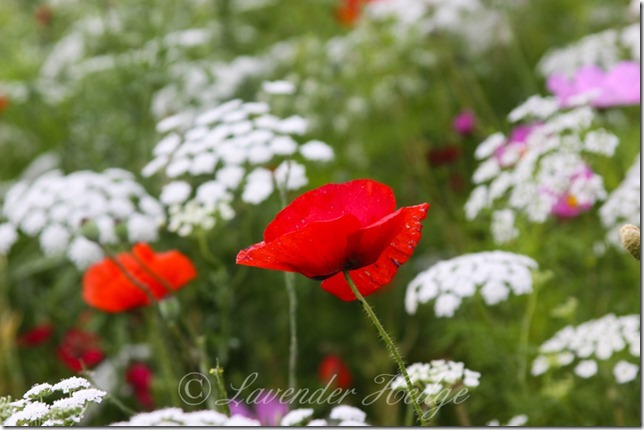 These urban wildflower meadows are so uplifting to look at and the insects were loving them too. Well done Cheltenham BC – may other councils follow your example! Sadly, the tulips are past their best now, but remain beautiful to the end. 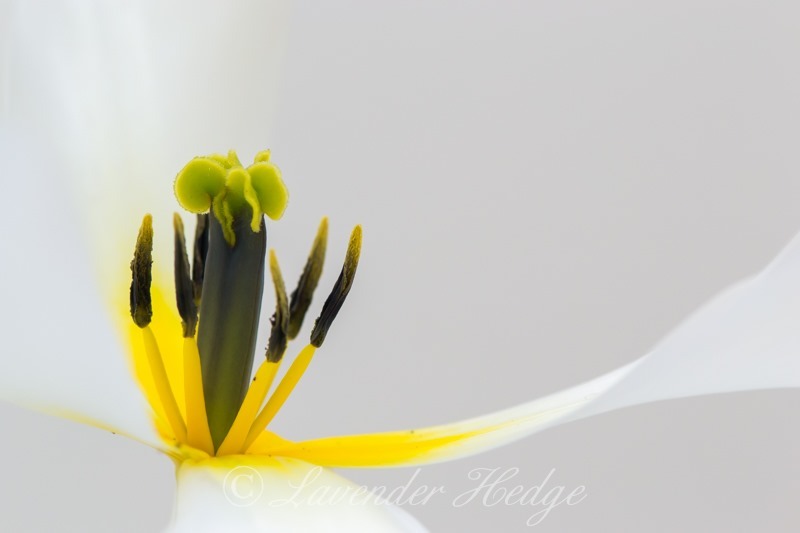 I thought this one with its floppy petals, still had an ethereal quality which I just had to photograph. 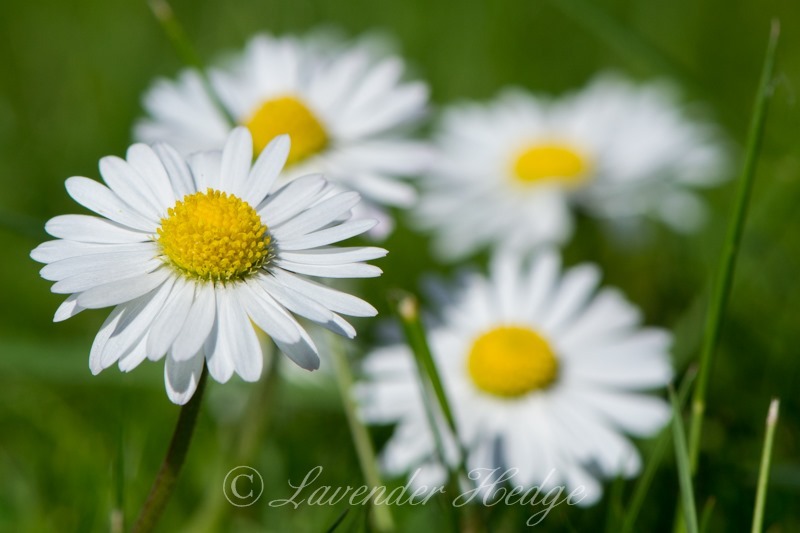 Spent the day working in the garden and before I cut the lawn, thought I would take a photo of all the lovely daisies growing in the grass. 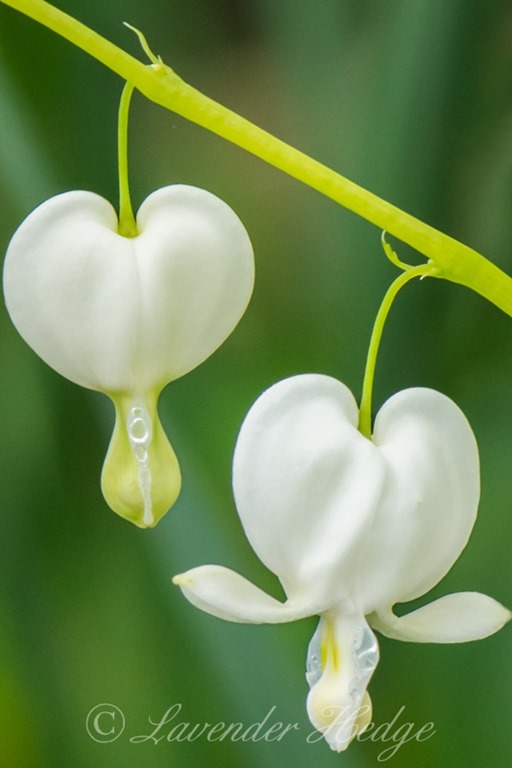 Previously known as Dicentra spectabilis ‘Alba’ it has been renamed Lamprocapnos spectabilis in 2011. This is the white flowered version of Love Lies Bleeding or Bleeding Heart, which gets its name from the heart-shaped flowers which drip from beautiful arching flower stems. It is a hardy cottage-garden flower, which performs well in both shade and sun, so long as it doesn’t dry out. 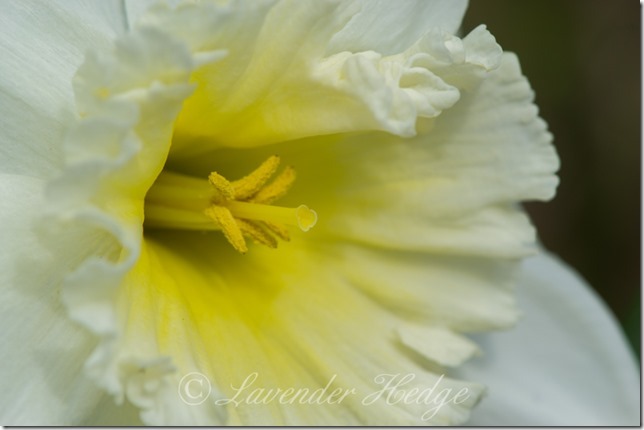 It is looking spectacular at the moment with so many flowers on it. I couldn’t choose my favourite stem, so I cropped it down to these two flowers. These large white daffodils with their frilly trumpets and yellow glow inside, are looking absolutely stunning in the garden at the moment. 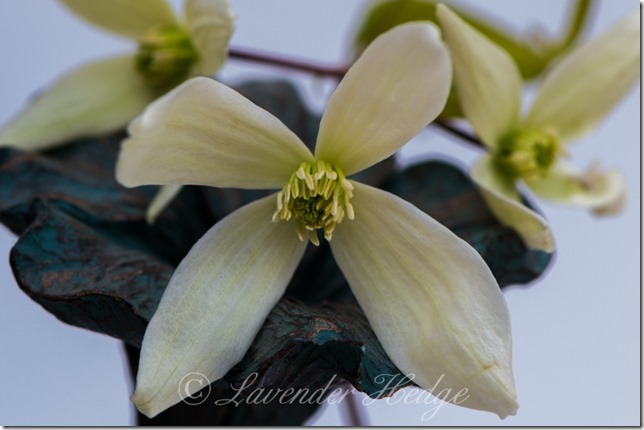 This is an evergreen, spring flowering clematis, the flowers of which are a creamy white and have a gorgeous scent. 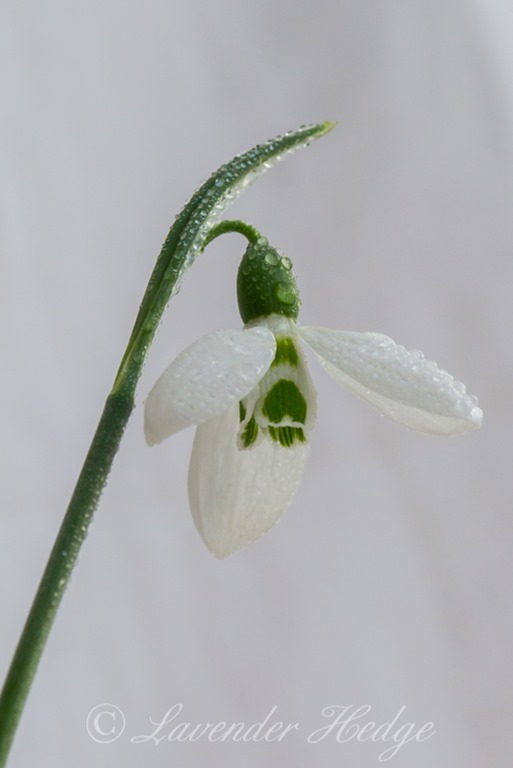 It is a very vigorous plant, so I would advise you to give it something strong to climb up, with plenty of room to grow! 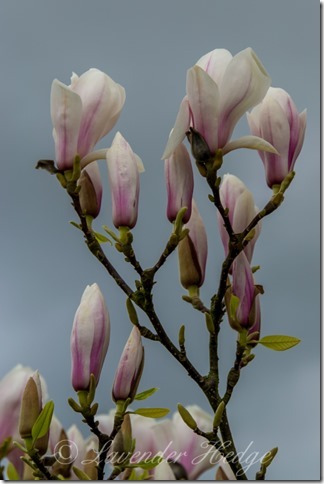 The Magnolia’s showy flowers are just ready to burst and look even more dramatic against a stormy sky. 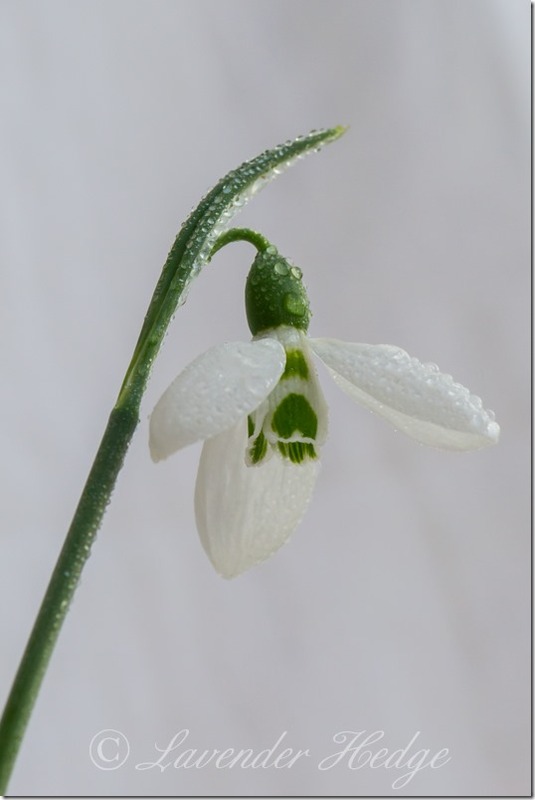 I rescued this little beauty from the garden today and brought it inside to photograph, out of the wind and rain – raindrops on snowdrops. 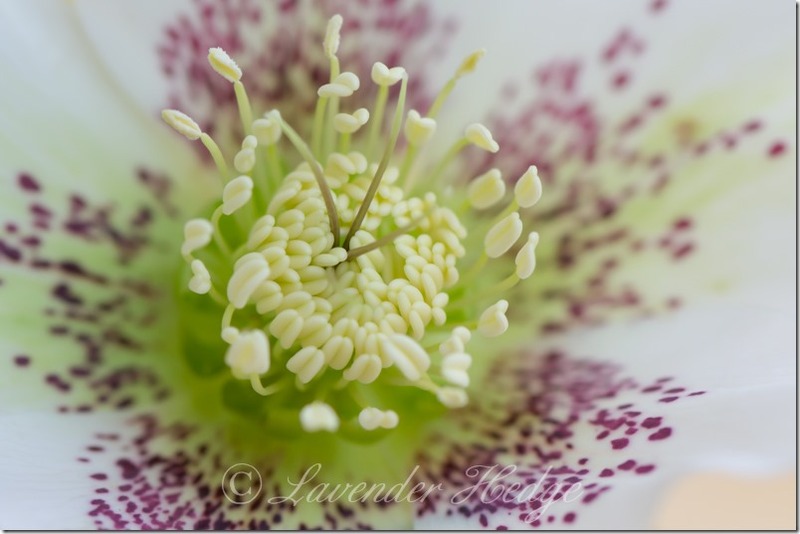 I decided on a macro shot of a beautiful speckled Helleborus, taken from the posy of flowers I picked in the garden today. 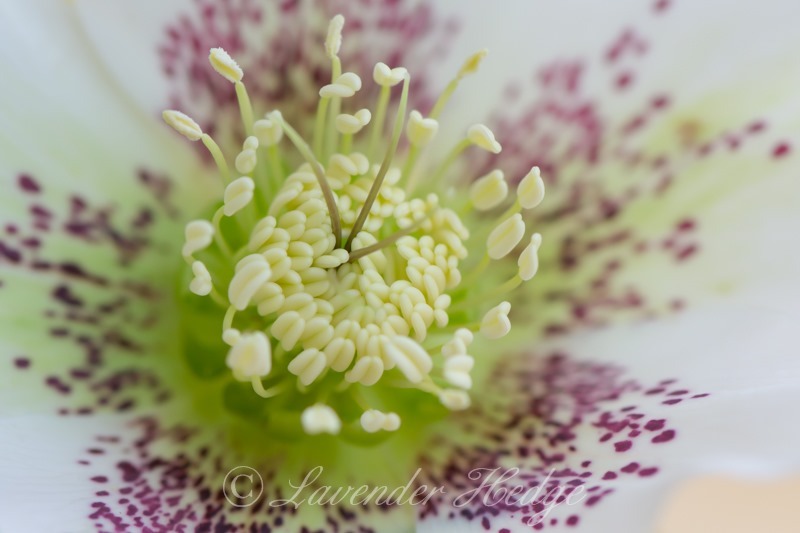 I adore the colours in this flower and deliberately gave it a soft bokeh.